Oh my, it seems Dr. Hulda Clark passed away recently. She was one of my most respected researchers and authors. She is a tireless true scientist who always sought to do honest research that benefited everyone. She kept no secrets and published everything, open sourced technology for all to benefit and improve upon. She will be missed. The big impact of Dr. Clark to my health education came from her books, Cure for All Cancers, Cure for All Diseases and Cure for AIDS, Cure for All Advanced Cancers. Although with my further education into health literacy I would later disagree with the complete de-parasitization of food and the use of artificial vitamins and supplements, I now understand that these were recommendations of Dr. Clark not for longevity health seekers but for her emergency cases in her clinic. Dr. Clark’s gift to the world is open sourcing her and her son’s zapper technology which allowed many people to make their own and improve on it. I own 3 zappers and use them when needed. They absolutely work. You just need to know when to use them. The most significant life saver incident of our tiny hand held zapper was when my then 3 year old girl had neck pain which had gone on for 3 days with no relief from the hilot or the chiropractor. A friend wrote me to check for germs like meningitis in a lab test and administer the correct drug… this gave me an idea, let’s skip the lab test and the drug by administering a broad spectrum electronic device – our hand held hulda clark inpired Don Croft Zapper. I zapped my daughter and after an hour she stopped crying, her pain went away… all gone! Thank you Dr. Clark… and Don Croft you made this healing possible! Dr. Clark’s books also helped our family establish a basic understanding about facets of health we only realized through her books: How bad and prevalent parasites were especially combined with how bad unknown pollution was. Before Hulda Clark I had no idea about both topics. Dr. Clark gave us a glimpse of the detoxes and body cleanses with her kidney cleanse herbs, herbal dewormers, electronic dewormers and her version of the Liver Flush. I had done several versions of liver flushes before I read Dr. Clark on the matter. Dr. Clark was a true scientist and was open to criticism and improvement. She made correspondence with Master Herbalist Joel Berry who made a better more convenient herbal dewormer and being a master herbalist taught Hulda Clark that the GREEN WALNUT was much better than the black walnut she previously wrote about to fight parasites. Hulda Clark made that correction in the new editions of her books and in her videotaped interviews. I took on a different direction with my health research going towards raw food and raw meat but never forgetting Hulda Clark’s teachings. I have come to peace with the parasite and germs debate that many sides hold some truth and as the family healer you must be open as to when the parasites and the germs are beneficial and when they need to be kicked out. Dr. Clark’s imprint on my personal education was her scientific approach, curiosity and non-stop experimentation and non-stop adjustment… always open to improvement. And I am very grateful to have read her and viewed her videos. Let us remember to respect her for her selfless contributions to all of humanity. 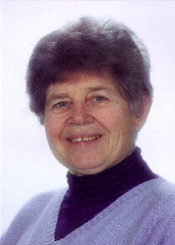 We just received word that Dr. Hulda Clark passed away peacefully in her sleep September 3, 2009. Since she had retired and closed her clinic last fall she has spent much time with her family. We will certainly miss Dr. Clark both as a friend and researcher who gave so much of her self to so many. A website is being setup in memory of Dr. Clark where people may leave their thoughts and experiences to share with all. For her family and many close friends our condolences and thoughts are with you. My friend Hulda Clark died from the complications of a spinal cord injury that plagued her for the final years of her life. As many know I accompanied her on her lecture forays around the US and I never told anyone how much pain she was in these last few years. She simply wanted to keep going. I arranged wheelchairs for all of the travel arrangements. A year ago, last October, she was planning on speaking at the Rife conference in Seattle, and although she was able to get her lecture together she could not get her body to cooperate. The pain was too much. I visited Hulda last Saturday, and she had lost even more functions – so I was unable to take her out to lunch at her favorite restaurant. Although I have always kept this a secret, I want you to know that Dr. Clark’s favorite restaurant in the US was the Home Town Buffett in Chula Vista, California. Going to lunch with her was a time consuming experience, and well worth it, for she bombarded me with the latest findings of her research – treating me as though I were a fellow scientist, and a good friend. I had the joyous experience of being this wonderful person’s friend. She had an amazing twinkle in her eye, and I will miss hugging her. Hulda Clark was not just a scientist and author. She was one of the most amazing people I ever met. She was, in person, absolutely delightful. Everything she did was for others. The world has lost a lot with her passing. I’m going to write a lot more about my friend, but right now I need to grieve. Dr Clark supplied much of that knowledge to bring healing to God’s people. I believe God was pleased. Others tried to suppress the knowledge she discovered. Hell! I am getting more interested in buying a parasite zapper You mentioned that you already owned three. I would like to know where did you buy them from and how? I did a couple of research, it showed they cost about $150-$200. It is pretty costly for a regular filipino. What type of zapper you would first recommend to buy? I woud like to incorporate zapping in my liver flushes protocol to expel my gallstones. Oh, my, it pains me so much to know that Hulda has closed her eyes in death. She was a treasure; a wonderful treasure. Her work will live on, and many people will enjoy restored health because of her work. Oh what a joy it will be to see her in the Lord’s kingdom one day soon. This old world is spinning down to the finish line, and the sooner, the better. We are all better for the fact that Ms. Hulda lived. Thank you for the information. Your friends in Tennessee.